We back our favorite skaters by carrying their signature stuff and the brands they work with in The Boardr Store. Poppy Starr Olsen has a name that belongs in bright lights, and she is already making moves to insure that she stays in the spotlight for many years to come. Poppy started skating when she borrowed a friend’s board and rode it home without falling on her first try, prompting the friend to just give her the board. 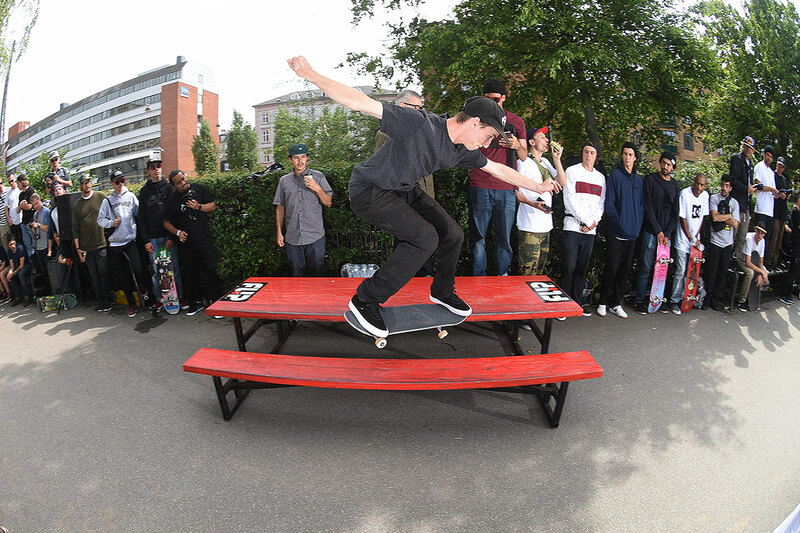 Fast forward to today, where Poppy has emerged as the top park skater from Australia, and one of the best in the world. She won the Vans Combi Pool Classic in 2016, and followed that up with an X Games bronze in 2017. In her free time, Poppy makes art and jewelry, which she sells at @poppystarr_art to help fund her world travel. She is also a pianist, who is into scoring her own computer animation projects. With all this going on, it was no surprise when she was asked to give a Ted Talk discussing the blurred lines between art, skateboarding, and business. Basically, Poppy is a triple threat that is ready to make her mark in the skateboarding world and beyond. 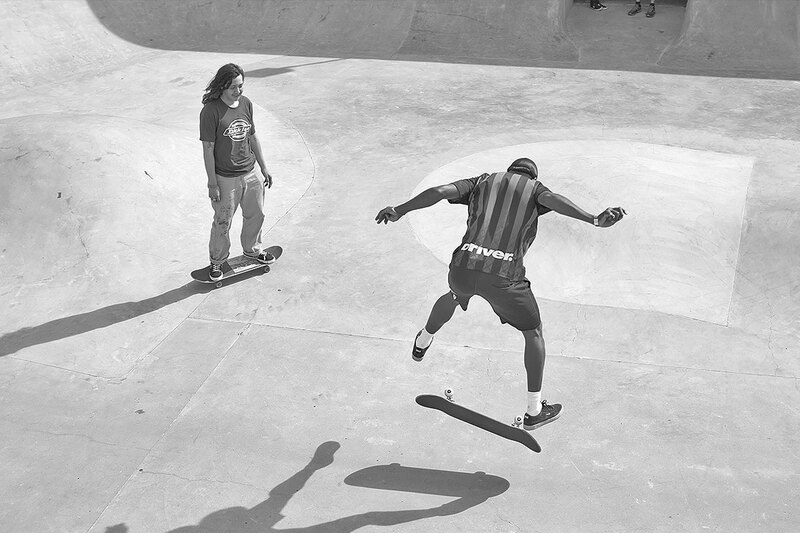 There is something truly special about the way Na-Kel Smith skates that commands attention. After receiving his first board from his uncle, skateboarding legend Kareem Campbell, Na-Kel gained inspiration from his surroundings growing up in Los Angeles to develop a sense of fashion, style, and street cred that has not been seen in skateboarding in years. Attracted to the sneaker game as a kid, Na-Kel has now aided in the design of three different custom colorways with his shoe sponsor, the illustrious adidas brand. 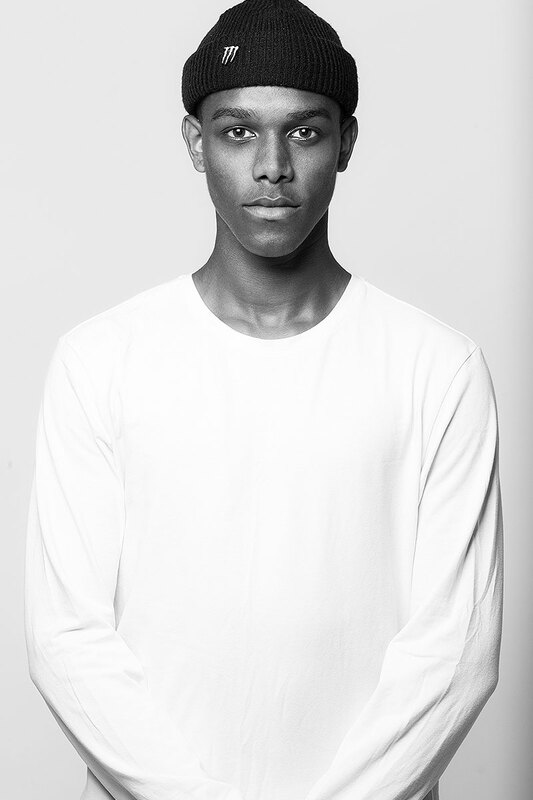 He is also a founding member of the rap group Odd Future, beside long-time friend Tyler the Creator. With backing from iconic brands such as FA and Supreme, and a few acting credits already under his belt, it's only a matter of time before Nak transforms from skateboard star, to Hollywood superstar. We first met Brian in China years ago at an event we did in Shanghai. Of course he won it. The next few years from there have been crazy to watch, as Brian has become one of today's most insane technical skaters. He has since gone on to become pro for Primitive Skateboarding. Brad being from Florida like us, we knew him at a young age and saw the above average skill and style he had. It wasn't long before the legendary Mark Gonzales also took notice and added him to the Krooked family, where Brad later turned pro. Brighton Zeuner was put on this earth to ride a skateboard. 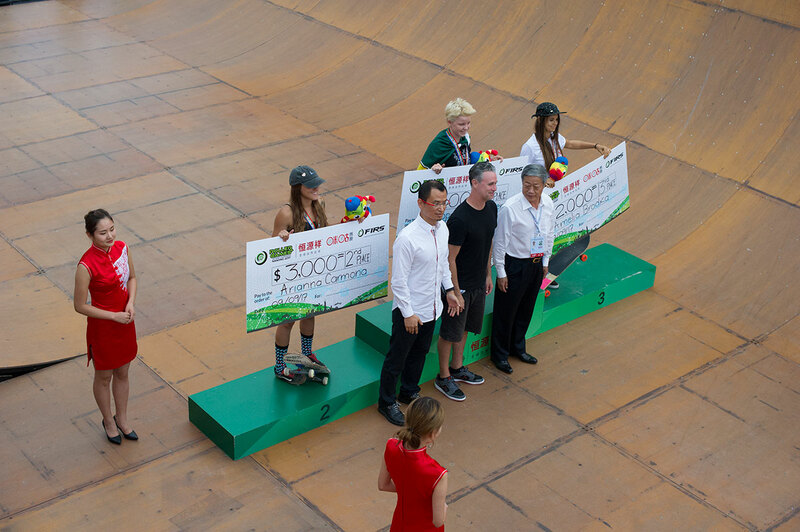 She started at age four, was competing by age eight, and in 2016, at age 12, she was crowned the inaugural Vans Park Series World Champion. Add in back-to-back X Games gold medals in 2017-18 and what you get is a young skater with a one-way ticket to greatness. Like most girls her age, Brighton is really into fashion. Unlike most girls her age, she stays busy ravaging the thrift stores of Encinitas, California with her brother Jack, looking for vintage gear to cut up and sew together with the clothing she already reps from Vans. If Brighton stays on track, all roads for her are leading to Tokyo for the 2020 Olympic Games where she will be 16, the minimum age to compete in the Olympics. 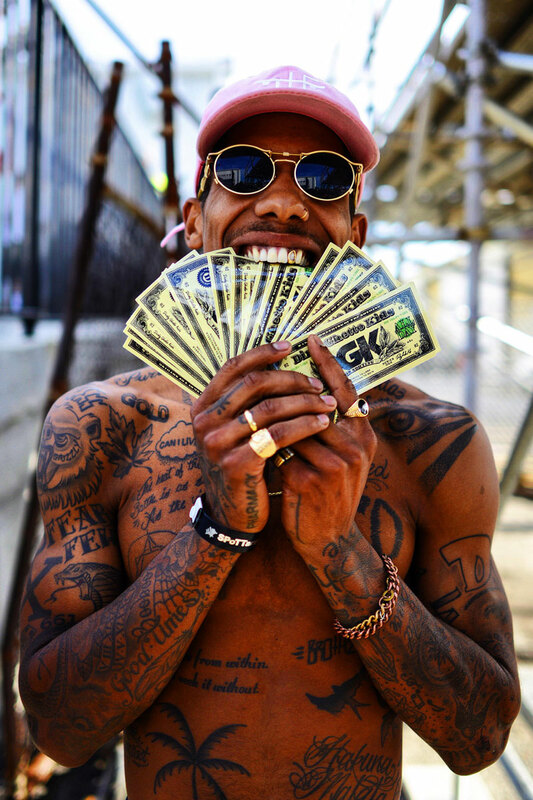 Ishod is the Michael Jordan of skateboarding. He was Thrasher Magazine's Skater of the Year at the beginning of his career and it's been all hammers since. From the early days of when we used to see him skate our events, to today seeing him win our events, it was obvious very early on that Ishod was very special. The abundance of skateparks in Southern California has influenced Cory Juneau's skating since day one. 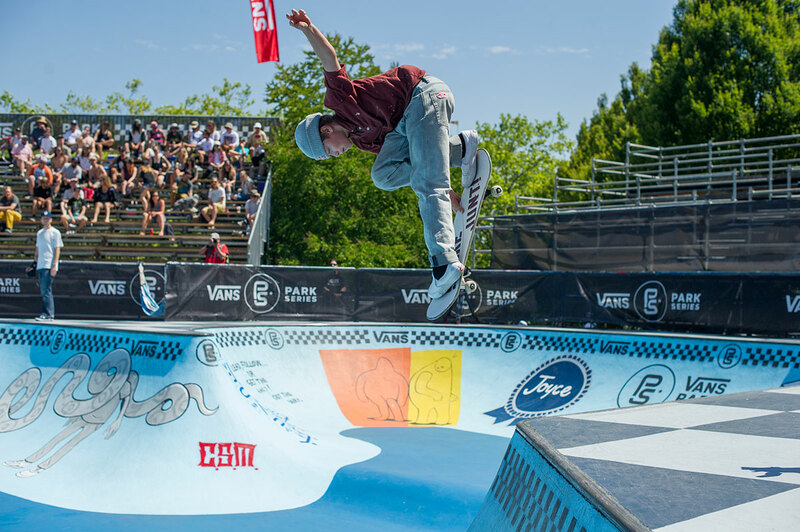 He has since grown up and proven himself to be one of the best young park terrain skaters of today, earning a spot as a Select Pro in the Vans Park Series. Cory has quickly become a fan favorite, winning over skaters and spectators with his sarcastic wit, fluid style, and lofty frontside flips in the deep end. Cory is a key part of the Creature Skateboards team and has also earned a spot on the Vans roster. When he's not nose-grinding 10 blocks of pool coping, you can find Cory adding to his collection of gold chains, or building custom motorcycles with his father in North County, San Diego. When you can combine super pop with insane technical ability, it makes for a magical combination. Diego is today's best demonstration of this rare blend. He's one of Primitive's newest pros and has a long career ahead, pushing skateboarding to new heights. Jamie has been turning heads at contests for as long as we can remember. It first started with his signature crazy pink shirt he used to always wear as a little kid. That combined with his larger than average build and of course ripping skating makes for an unforgettable combo. As Jamie got older, his skating got more powerful, and now he's one of today's top amateur skateboarders. Originally from Jupiter, Florida, Zion Wright is part of the new breed of skateboarding's ATVs. After getting his first skateboard when he was four-years old, he soon began winning local contests. With his infectious personality, constant smile, and unwavering support from his father, it didn’t take long for him to get noticed beyond Jupiter. 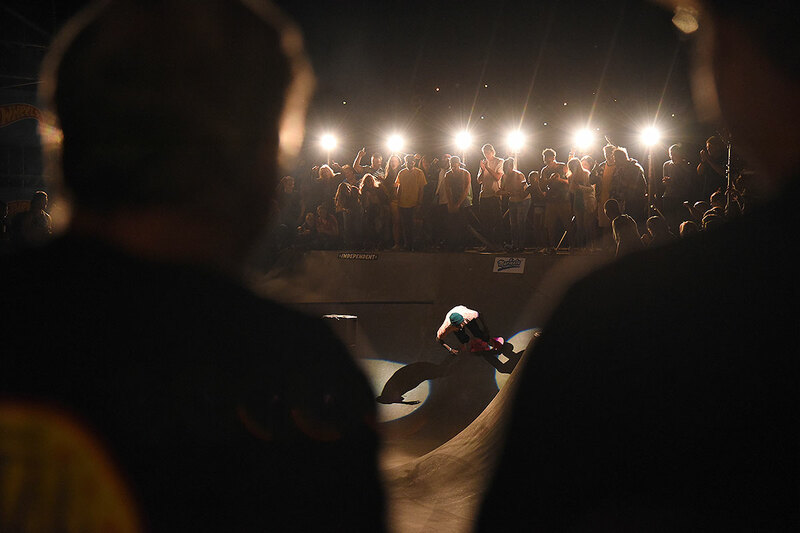 Zion is one of the few skaters that can win a high-profile contest like PHX Am and also be a Tour Pro in the Vans Park Series…no other skater has accomplished that. When he isn't skating with SOTY’s Ishod and Kyle Walker, Zion enjoys surfing, sushi, and quality time with friends and family. Joey is a long-time master of one of the most difficult tricks of skateboarding, the manual. By combining this trick with an infinite number of variations and combinations, Joey has earned a huge social media following and a devoted fan base. Joey learned early on that a skateboarding career needs constant attention and work to stay at the top. He created Manny Mania for long-time sponsor, Red Bull. That global contest series had a 10-plus year run, and Joey parlayed it nicely into his newest contest creation, Wheelie Dope, which happens to be supported by the company he founded and operates, Andale Bearings. When Joey isn’t filming clips to post to Instagram, you can find him hanging with his dog, Pizza the Pug, who has more followers than most pro skateboarders. The female skateboarding scene is getting bigger every year, and Fabiana Delfino is one of the ladies leading the charge. With her ability to shred skateparks matching her skills on the streets, Fabiana is a deadly ATV on the rise. 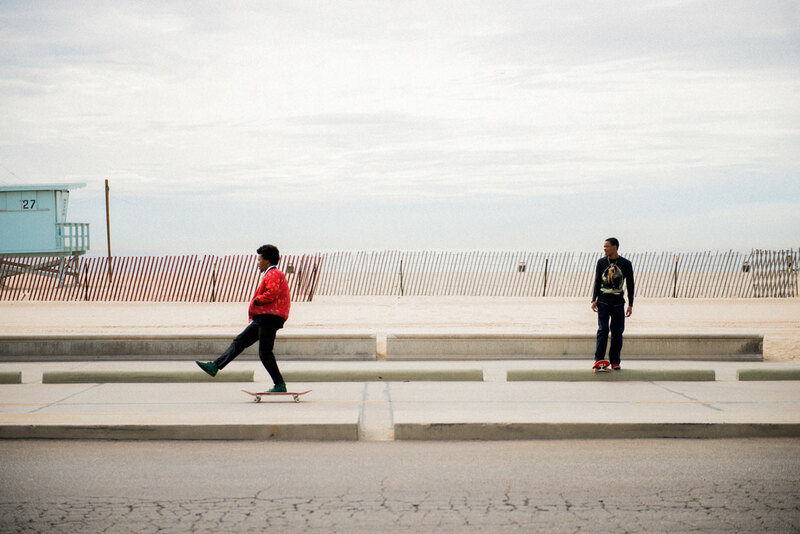 Growing up in Boca Raton, Florida, she originally got into skating by following her big brother Pedro around their neighborhood while he skated with his friends. Fast forward a few years, and now both Pedro and Fabiana share Vans as a shoe sponsor, with Fabiana also locked in as a member of the Santa Cruz Skateboards team. 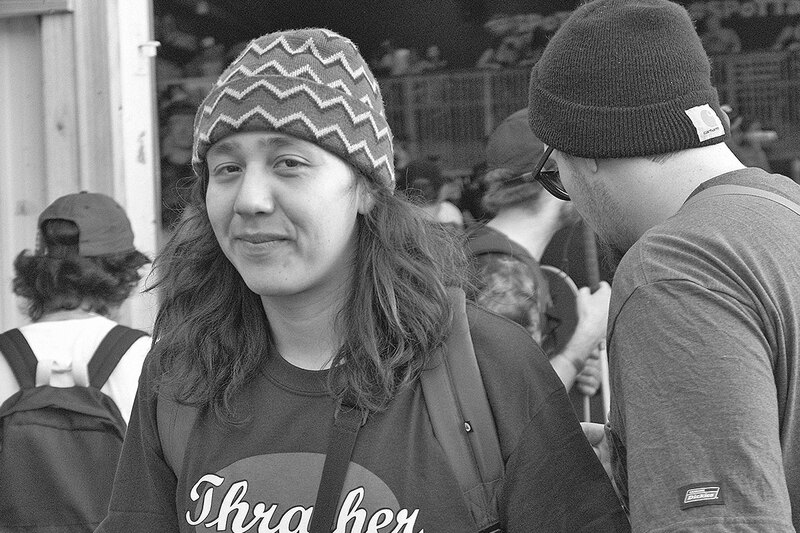 She is also one of the only females that regularly skates in male-dominated events such as Tampa Am and Phoenix Am, gaining the respect of skateboarders the world over. When Fabiana isn’t on her board, she enjoys riding her bike while listening to indie rock, and hunting down unique clothing at her local thrift stores. Straight from the streets of Sao Paulo, Gabriel Fortunato is part of the current wave of amazing Brazilians that seem to appear out of nowhere every five or six years. You may not have heard of him yet, but believe me when I say this young man has been getting ready for the spotlight ever since his big brother Davison set up his first board when he was nine-years-old. 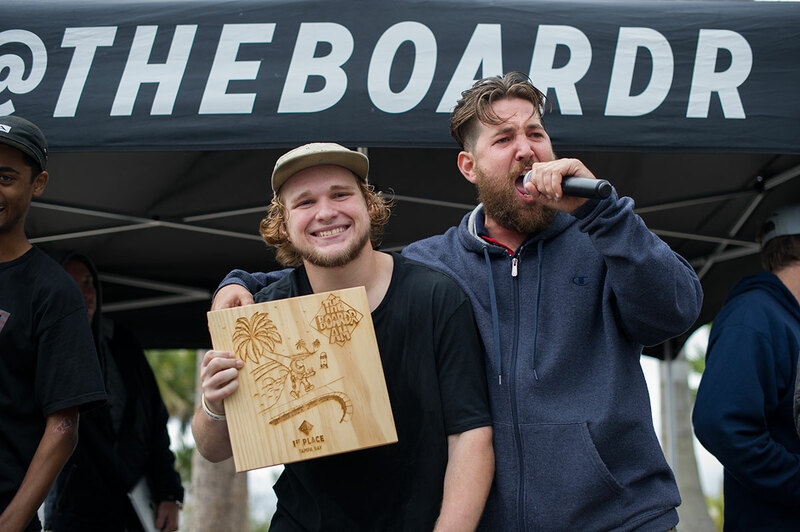 From that day forward, Gabriel was on a mission to destroy any spot in his path, putting out great video parts to go along with him making the finals at top-tier events such as Tampa Am, Damn Am, and X Games. Nowadays, Gabriel can be found either in the States, or back home in Brazil, attacking every session with his fluid style and perfect smile. When he isn’t skating, Gabriel enjoys fashion, fast cars, and healthy living. Jhancarlos Gonzalez is living proof that if you put your mind to it, and work really hard, nothing in life is impossible. Growing up in the barrios of Bogota, Colombia, it would have been easy for him to be influenced by his surroundings and fall into an illegal lifestyle. Jhancarlos had other plans though, and after witnessing skateboarding in his neighborhood in 2009, he found his way to a better life. As his skills progressed, "Jhanca" bought a bicycle and started riding to other towns around Colombia to search out more skateable terrain. After gaining support from the local shop "On Board," he was picked up by Volcom and other global skateboarding brands. Now, as a member of the Colombian National Team, Jhancarlos is traveling and representing his country at events like Street League, while also pushing himself to film legit video parts in the streets. When he isn’t skating, Jhancarlos enjoys riding motorcycles, outdoor adventures, and perfecting his English to better communicate with his skateboarding friends around the world. These days, when a skater says he lives in Long Beach, California, that usually means he moved there from somewhere else. For Robert Neal, this is not the case. Born and raised in the LBC, Robert got his first skateboard in elementary school, when he realized he was the only kid on his block that didn’t have one. Robert was sponsor-less and penniless, until one day in 2015 he skated a best trick contest that was being watched by Paul Rodriguez. A week later Paul sent Robert his first box from Primitive Skateboards, and then the packages from Nike SB started rolling in, too. After a few years of mind-blowing progression, Robert was officially announced as a member of the Primitive Skate Team. He is living proof that following your dreams and working hard will lead to positive results. When Robert isn’t skating, you can find him at home working on his drawing skills, or on the court playing basketball in a fresh pair of Jordans. Calling Felipe Nunes an inspiration would be an understatement. Describing his journey as “miraculous” doesn’t do it justice. But in Felipe’s eyes, he is just another young man from Brazil trying to leave his mark in skateboarding. There is just one thing that is a little different about Felipe that separates him from the rest. At age six, Felipe had an accident involving a train that resulted in him losing both of his legs. After spending a few years bound to a wheelchair, a neighbor gave him a skateboard thinking he could use it as an easier way to get around. Little did Felipe know, that gift would change his life. He figured out quickly that he enjoyed riding his board, and slowly started learning tricks at the local skatepark. After gaining a lot of attention through his Instagram page, he was then noticed by skateboard legend Tony Hawk, who was so impressed by Felipe that he started to help him out with travel expenses so he could come to America and skate. Now, there isn’t one person involved with skateboarding that can’t say they haven’t been inspired by Felipe’s story. He has surpassed the label of a “novelty act,” and is now considered a force in the contest scene. When Felipe isn’t skating, he likes to hang out with his mom and cat in his hometown of Curitiba, with a huge smile and a cup of coffee. 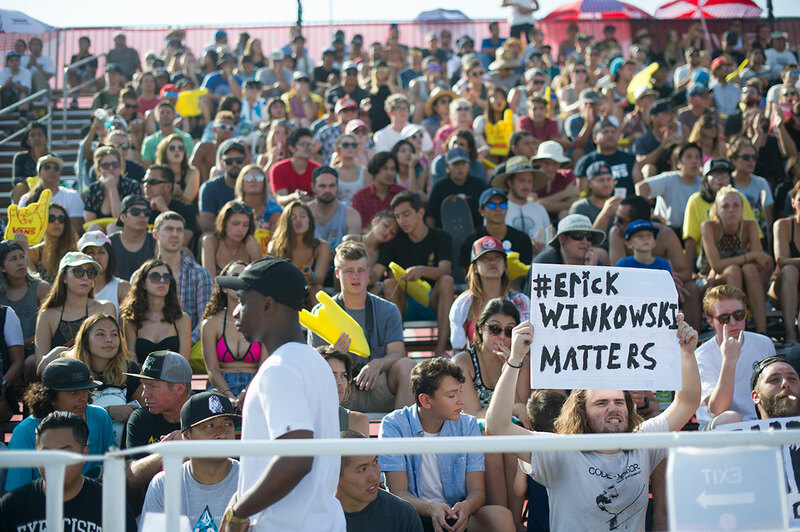 Watching Erick Winkowski skate for the first time is an experience you will never forget. His trick selection will make you think he just walked out of a time machine from 1987. He can rip pools until the sun goes down, and then when the sun comes up, he might decide it’s time to skate a 20-stair handrail. 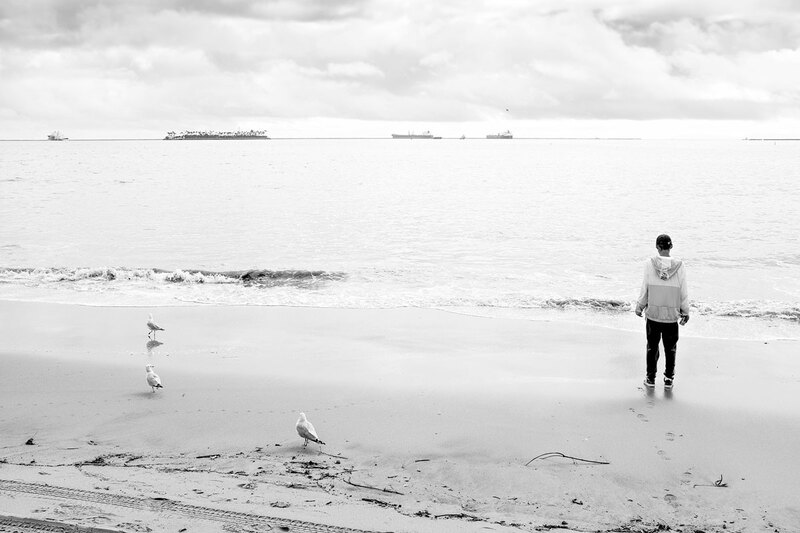 Erick was raised in San Diego, but now shares his time between there and Seattle, and has been known to skate the entire 1,300 mile journey when the urge for exploration bites him. With his love of obscure board shapes, and laid back attitude, it’s only natural that Erick would go pro for Santa Cruz Skateboards, who have had his back for years now. His unique brand of skating also caught the eye of the legendary Andrew Reynolds, who helped him sign with Emerica shoes. When he isn’t out skating, Erick enjoys cycling and spending time with his lady and dog, with a can of Chef Boyardee Ravioli in one hand and a joint in the other. In a time where it seems like every skateboarder is trying to be something other than a skateboarder, Giovanni Vianna is a breath of fresh air that seems oblivious to the existence of life outside of his four-wheeled world. Growing up in Sao Paulo, Brazil, Giovanni got his first skateboard on his 2nd birthday. 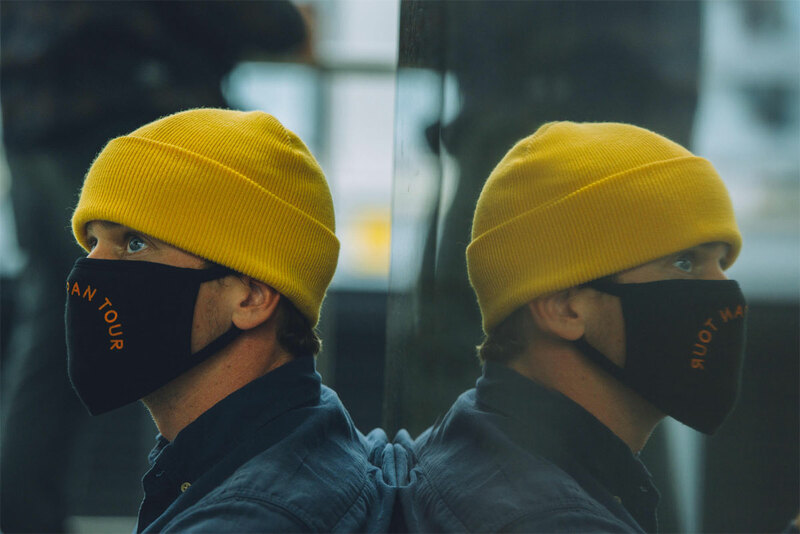 By age four, he was competing in events around Brazil, and in the last few years, he has started traveling abroad and laying waste to the contest scene in the States. 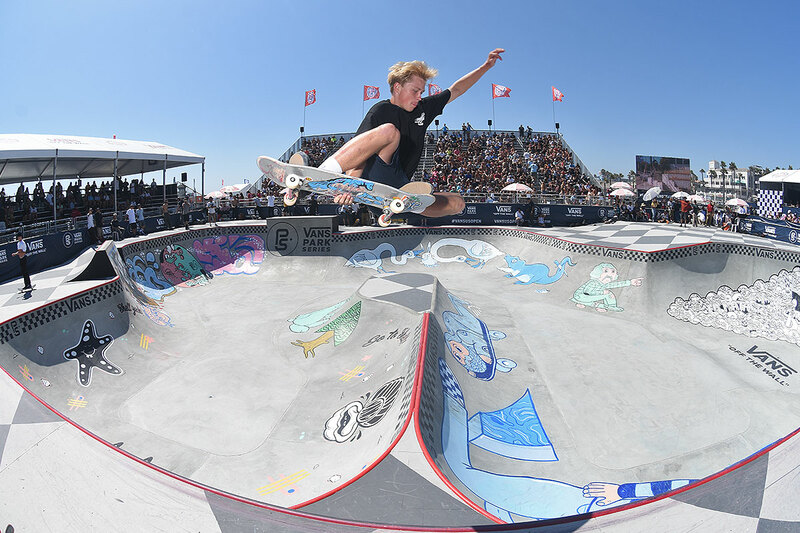 Now, with a win at the highly-regarded Phoenix Am on his resume, it's no wonder why companies like Vans and Volcom are showing full support for this talented young prodigy. Even though he blows minds wherever he goes, it is very easy to figure out why he is so good. When I asked him what he likes to do other than skateboard, his reply was, “I don’t do anything besides skateboard.” He does however, enjoy the music of Tim Maia while feasting on a traditional Brazilian meal of meat, rice, and beans.